Feels so good to reconnect with everyone through my lil blog! Yes, I have been away but that hasn't kept me far from my makeup & most importantly - playing around with it & creating different looks. 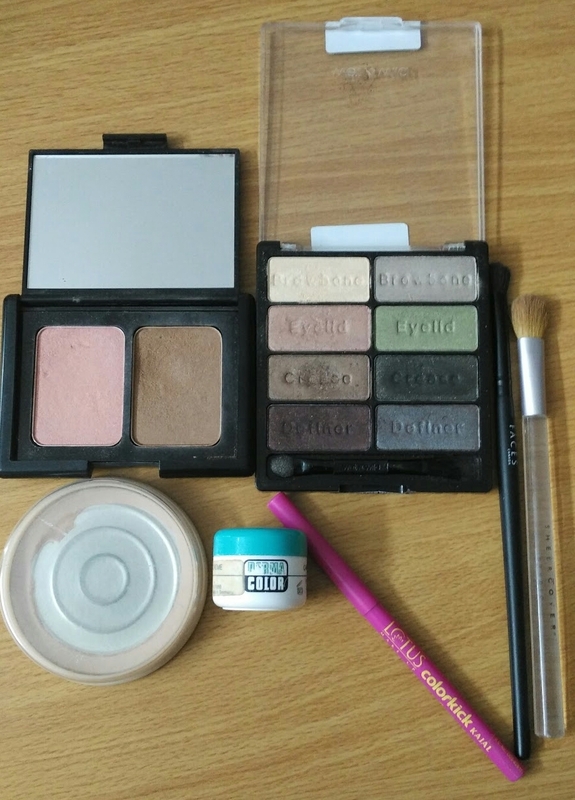 One such look struck me as something I should share with everyone who likes minimalistic makeup. This look is ideal for your workplace but can be worn anywhere you like. Base Makeup - Cleanse and prep your skin with moisturiser. I skipped foundation & went straight for concealer in this one. I used the Derma Color Concealer in the shade DFD to cover up the under-eye dark circles, blemishes & any other pigmentation on my skin. To set the base, I used my all time favourite compact, the Rimmel London Stay Matte powder in the shade 005 Silky Beige. Eyes - Once the base was done, I moved on to the eyes. I stuck to earthy brown tones overall, in this look but you can choose the tone you want. The same makeup done is muted coral tones would also look great... Let me know if you want to see a post on that, in the comments below. For the eyes, I used two tones of brown - one lighter & the other slightly darker from the Wet n Wild ColorIcon Eyeshadow palette in "Comfort Zone". I used the lighter shade on the eyelid concentrating more on the inner half. I ditched the eyeshadow brush & dabbed the darker brown with my ring finger on the outer part of the eyelid. Then, using the same eyeshadow brush that I used before, I blended these two shades together. The lighter brown will bring some light on to the eyes, while the dark shade on the outer part will bring depth & definition to the crease. 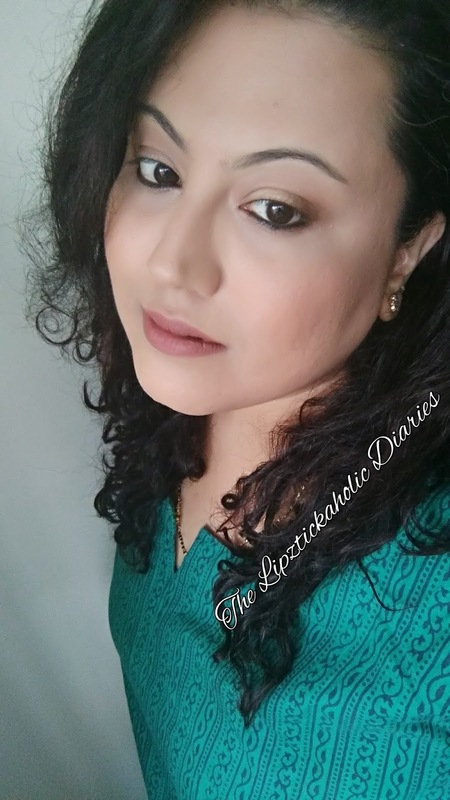 To keep the eyes subtle, I skipped eyeliner & lined the lower lashline with my all time favourite kohl Lotus Herbal ColorKick Kajal. If you wish to see a close-up of the eye makeup, you can check it out HERE on my Instagram profile. Hope you liked this simple "One-Toned" look. Do share your thoughts in the comments section below. Until the next post, Ciao!!! I love this palette from wet and wild. You get to create natural or dramatic looks so easily.